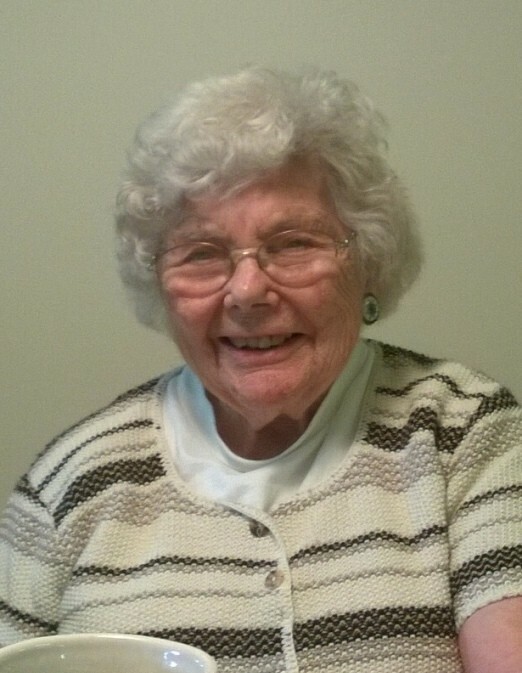 Obituary for Jean S. (Carlson) Beecham | Kroeze-Wolffis Funeral Home, Inc.
Mrs. Jean S. Beecham, age 94 of Fremont & formerly of Holton, went to be with her Lord & Savior on Wednesday, February 6, 2019. She was born on October 19, 1924 in Chicago, Illinois to George & Bertha (Benway) Carlson. Jean was a member of Holton Evangelical Lutheran Church, where she had been active in the Ladies Circle & taught Sunday School. She had also been a Girl Scout Leader and 4-H Gardening Club Leader. On October 6, 1945 she married John "Jack" Beecham and he preceded her in death on July 15, 1996. She was also preceded in death by her daughter Janet Theiste in 2008, and by her brother Joseph "Jiffy" Kenjesky. Jean is survived by her children: John R. (Patsy) Beecham of Fremont, June (Kevin) Thoele of Hastings, MN., Jay (Zanita) Beecham of Holton, Jeff (Kimberlee) Beecham of St. Paul, MN., Jeanna Beecham (special friend, Ed Kenney) of Fremont; son-in-law, Rev. Fred Theiste of Eau Claire, WI. ; 14 grandchildren & 25 great grandchildren; and 1 sister, Joan (Anthony "Tony") Zadel of California. The Funeral Service will be held at 1:00 PM on Tuesday, February 19, 2019 at Holton Evangelical Lutheran Church with Rev. Erich Hoeft officiating. Visitation will be at the Kroeze-Wolffis Funeral Home from 5-7 PM on Monday, February 18, 2019, and at the church from 12-1 PM on Tuesday. Interment will be in Holton Lutheran Cemetery. Suggested Memorial: Holton Evangelical Lutheran Church. You can sign the online guest book at www.kroeze-wolffis.com. Arrangements are by Kroeze-Wolffis Funeral Home, Inc. of Fremont.